I have had an on again off again relationship with risotto. Sometimes I like it, sometimes it taste like gruel. So this month’s Daring Cooks challenge hit me hard. I wasn’t sure I was up for the challenge. There’s only one risotto I really like. It happens that it’s from Food52 co-founder and New York Times food writer, Amanda Hesser. Amanda wrote a charming cooking memoir, Cooking for Mr. Latte, with a recipe that did a lot to change my mind about risotto. So, for this challenge, I went right there, and made Creamy Risotto with Lemon. And I used a new chicken stock – one I’ve been testing for Food52 this week. the stock was made with chicken feet and was so gelatin-y! amazing mouthfeel. Finally, because I am still a little ambivalent about risotto – I started thinking about what I might add to this rice dish to make me happy. There were tiny little new asparagus at the market this morning, so they had a place, certainly. Then, I had a brainstorm. You see, I am a crunch lover. Not so big on the creamy ricey thing – too much like porridge. Here’s what I came up with. 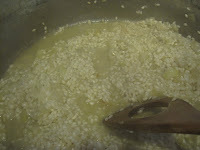 To the lemon risotto, stir in some chopped tiny new asparagus, spoon this into a baking dish, and cover with breadcrumbs chopped up with parsley and garlic, then moistened with a little melted butter. This wonder of wonders emerged from the oven crunchy on the top and creamy inside. Yum Yum. 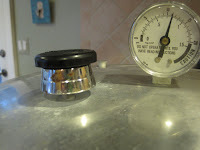 In a large, heavy stockpot or saucepan (at least 3 qt), heat the olive oil and butter. Add the onion and saute until starting to get toasty brown on the edges. Add the rice and stir, toast for a couple of minutes. 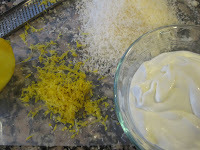 Add the lemon juice and scrape up any brown tasty bits. 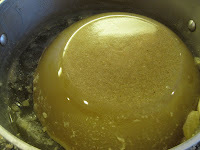 Add the chicken stock one ladleful/about a 1/2 c. at a time and stir until the liquid is absorbed each time. Be patient. Stir Stir. When you’ve added all but a cup or so of the stock, taste the rice to see if it’s done. It should be slightly al dente. 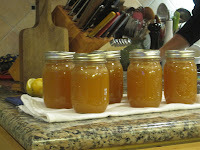 If you need more liquid, add the stock and taste again. If you need more, use water. Keep cooking until the rice has a nice bite. Take it off the heat, stir in the asparagus, cheese, creme fraiche and lemon zest. Lightly butter a gratin pan. Spoon in the risotto until filled. Make the topping. 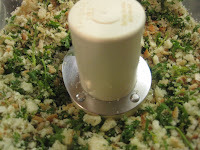 In the food processor, blitz the bread crumbs, parsley and garlic clove. Add the melted butter. 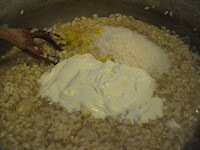 Press the topping on the risotto and bake, uncovered, at 350 for 35 minutes. It must be risotto day, perhaps because of the cold, rainy weather. I made one tonight with dried porcini and fresh crimini mushrooms… everyone gobbled it up. I'll try yours next! Glad to hear the asparagus are finally here. I didn't brave the market in the rain this weekend…. Jennifer, Have you been to the Bethesda Central Farm Market yet? Sundays from 10-2 – fantastic selection – and when the rest of the vendors come back at the beginning of April, it's really amazing. The seafood is spectacular. Hope to see you there! What a Baked Risotto with Asparagus & Lemon!!!! It sounds and looks scrumptious and must of been exquisite<3 Love all the photos will really help with the process well done on this challenge. Cheers from Audax in Sydney Australia. That's a good idea to bake the risotto. I, too, have a problem with the texture of savoury risotto, that's why I didn't eat mine, but made it into arancini. It's weird, though, that I LOVE rice pudding. No texture problem there. 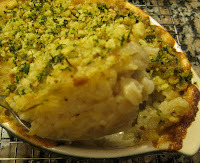 Anyway, your baked asparagus risotto looks fantastic! Thanks Audax & ap269 – I'm so glad to see you both *here* – and delighted you like my baked risotto. 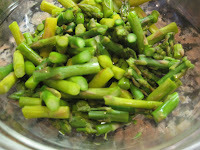 Give it a try – I've been thinking about switching out the asparagus with mushrooms or peas. I will admit to having leftover baked risotto with a fried egg for breakfast. Delicioso! 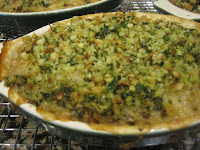 I like the casserole idea over the arancini (too much work!). I haven't had time to do the challenge this month, but if it turns out I don't like the texture of my risotto, I'm definitely following suit with a "hot dish". Great idea!